President Donald Trump, Fox News’ most powerful viewer, wants his supporters to know that he doesn’t like network anchor Shepard Smith. On Sunday afternoon, Trump tweeted that Smith is Fox’s “lowest rated anchor” and “should be working” at CNN, the network the president frequently attacks for failing to provide the obsequious coverage he expects from the press. Trump regularly watches Fox’s programming and often praises other network figures, like Sean Hannity and Jeanine Pirro. His criticism of Smith stood out, spurring media coverage and praise for the Fox anchor from some journalists. These two divergences from the Fox norm are not unusual for Smith. Unlike other Fox “news side” figures like Bret Baier, Smith has actually earned his reputation as a solid journalist, regularly pushing back against right-wing lies propagated elsewhere on the network and at times his colleagues. That makes it easy for some commentators to fall into the trap of thinking of Smith as Fox's "voice of reason,” the resistance inside Fox to the network’s depredations and chicanery. But Smith doesn’t have his job despite his deviations from the Fox line -- he is supremely valuable to the network because of them. 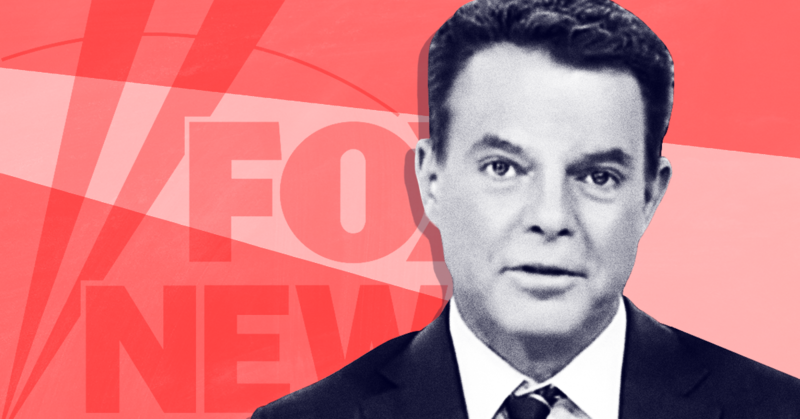 Fox’s core business model depends on stoking the fears of its viewers to keep them coming back, but its public relations strategy relies on being able to point to people like Smith as evidence that the network isn’t purely a right-wing megaphone. Instead, the network brass argues, Fox simply has separate “news” and “opinion” divisions like other outlets. The result is a mutually beneficial relationship in which Fox showers Smith with wealth in return for priceless PR value. In 2007, the network signed Smith to a contract that reportedly paid him more than $7 million a year. At the time, that salary was greater than that of anyone at CNN and on par with those of broadcast network evening news anchors, who historically command bigger paydays. 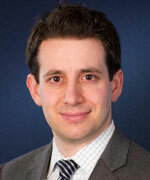 A New York Times write-up of his contract is filled with tropes familiar to present-day Fox observers: A Fox executive praises Smith for his focus on “hard news,” not opinion, and the Times reporter contrasts that approach with other network programming and highlights criticism Smith receives from the right because of his willingness to contradict conservative bromides. Smith has repeatedly renewed his contract at Fox since then (in 2013, he lost his 7 p.m. show and gained the role of breaking news anchor), most recently in 2018. The terms of that deal were not disclosed, but given how much he was being paid in 2007, it is likely that he’s drawing an eight-figure salary. As Fox has tacked further to the right in its opinion programming, Smith’s role has at times seemed like a challenge. Being the old-fashioned anchorman and reporter at a network known for new-fashioned provocation and opinion may be the hardest job at Fox News, and one Smith mused about walking away from over the course of two interviews this winter. On March 15, the network announced Smith would stay and that he had signed a multiyear contract renewal. Which means Smith is going to have many more chances to tell viewers what they don’t want to hear. Copy like this tells Time’s readers -- including reporters, advertisers, and other elites who may not come into contact with Fox on a regular basis -- exactly what Fox wants them to hear: that the network has a “news side” stocked with legitimate journalists trying to tell the audience the truth. What it ignores, however, is that Smith’s efforts to debunk misinformation found elsewhere on the network may break through as viral media stories, but they are buried at Fox itself under the weight of falsehoods and conspiracy theories from its higher-profile stars. When Trump lashes out at Smith, he is helping Fox make its case. When Smith appears to criticize his prime-time colleagues while accepting a journalism award, he is too. And Fox needs the help right now -- this week’s Smith stories came out against the backdrop of firestorms involving the bigoted comments of two different network stars and desperate efforts to keep advertisers from fleeing. Smith can keep using his 3 p.m. show to debunk the lies his network airs around the clock. He can call out the conservative hosts who receive bigger platforms and better time slots from Fox. He can tell reporters -- and even himself -- that the real reason he keeps signing Fox’s lucrative contracts is because he’s worried about what the network would replace him with. What Smith apparently can’t do is keep Fox from treating “accurate and honest and thorough and fair” journalism as anything more than a PR strategy.